Right on schedule, it's birthday time again. someday-in-the-future-92-year-old self the random musings of a young pup in her mid-thirties. 1. There is nothing more heavenly than taking naps. In January our church schedule will change from 9am to 1pm, and my lovely Sunday afternoon indulgences will be a thing of the past. 2. It's almost cool enough at night to bust out the electric blanket. We bought one last year, and oh. It's impossible not to feel like a queen when you climb into a perfectly warmed up bed. 3. We adopted another dog after our beloved Mesa passed away, and although she is perfectly pleasant - albeit high strung - it's just not the same. Do you ever get over losing the perfect pet? 6. I can only drink milk if I'm eating sweet stuff, so when the kids see me putting a glass of it into the freezer (it has to be super cold) (don't ask me how many times I've forgotten and left it in there to freeze solid), they know dessert is hiding somewhere in the kitchen and the search begins. 7. I only fix my hair once a week. At work I wear a hat, and on Saturdays I'm usually too busy to remember to jump in the shower before 5pm, and by that time...what's the point? 8. Not having my hair fixed makes me feel frumpy. 9. I can't keep the office desk clean to save my life. I can *clean* it off, but as soon as I'm working on something, my spreading tendencies take over and we're back to square one. If Roger could change one thing about me, this would surely make the list. Right below not taking off my earrings and leaving them on said desk. Or coffee table. Or kitchen counter. 10. The alarm clock by my bed disappeared a month ago and has yet to show up. I thought maybe it got knocked off, but it wasn't under the bed, behind the dresser, or anywhere else that it could've possibly gone. I thought for sure it would eventually reveal itself but 'tis not so. 11. The guitar I was supposed to learn to play is upstairs in Sierra's room. She's taught herself, and someday I'll buy another one so we can jam together. 12. After I learn how to play. 13. I've had a chest/bronchitis thing for the last two weeks that's finally (!) gone. I learned the hard way how weak my bladder is during a cough attack. Lots of laundry, is what I'm saying. 14. I don't feel like getting the Christmas decorations down this year. Not in a gloomy I'm-a-scrooge kinda way, but in a do-we-really-need-to-deal-with-more-crap-in-the-house kinda way. On the flip side, I'm tickled pink to deck the halls at our store. 15. I'm 5'9 and Brendan, age 14, has passed me in height. Jordan, age 12, has about another inch and I'll be looking up at him too. I'm realizing that someday all four boys are going to be towering over me. Weird. 17. Next year I was thinking of trying to make the bed every day, but should I even attempt something that I KNOW I won't follow through on? 18. My bottom kitchen cabinets haven't has a thorough scrubbing since I painted them. Over 3 years ago. 19. No matter how much they may deny it, every once in a while I see my kiddos do something that is so obviously "something they got from me" and I experience what can only be described as a proud mama moment. 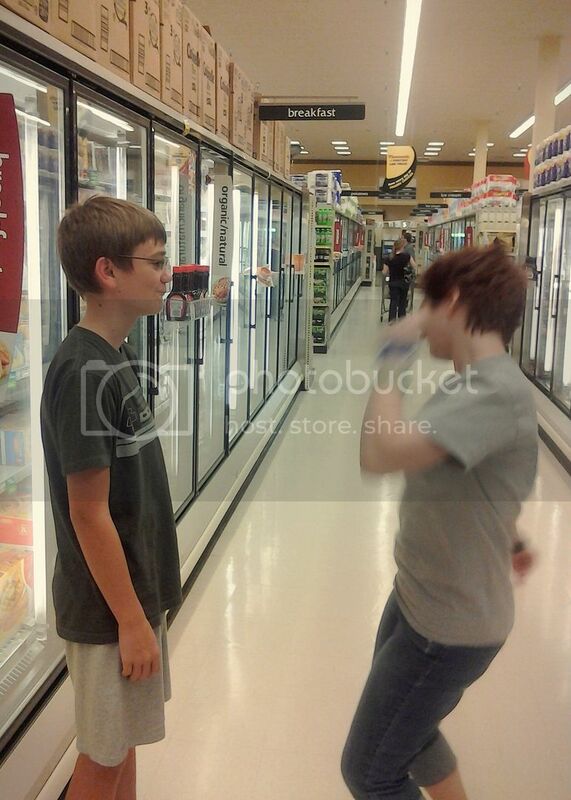 Exhibit A: dancing in the grocery store. 20. No matter how much they may deny it, every once in a while I see my kiddos do something that is so obviously "something they got from me" and I experience what can only be described as a mortified mama moment. Exhibit B: horribly irreverent captions drawn on a church program. Alright. Enough about me. Guess what? When I was at Target the other day, I found another Hello stamp. will get it shipped to their front door step, just for cuz I love you and birthdays make me happy. I just found your blog and I love you already (is it too soon to say that)?! Something about me... I'm trying to give up Diet Coke, but it's really hard! Love that cute little hello stamp. Hope I win! Girl, there's hardly anything you don't know! So I'll tell you a truth: I have a rockin' visiting teaching companion, hands down! Best I've had. Ever. Oh, and I never decorate for Christmas! I can't handle the holiday cheer that I have to stare at for a month...my Type 3 goes berserk and I end up throwing it all away. Decorating the tree is all I do (and I love it)! when i was younger i would "break dance" (whatever THAT means for a white girl from az) in the grocery store...i tried a few years ago and not only does my back start inflicting pain on me, but seeing that image inflicts pain on others. also, my fav part about Christmas decorating is my tree. last year my decorations stayed up until almost Valentines, just because i was too tired to put them away until then. I spent two consecutive birthdays trying to get into the Rachel Ray show audience. Im not a huge fan of hers but my sister in law and mother in law wanted to treat me to a trip to the city + her show. We waited in line for TWO hours before they cut the line off AT US the first year we went. It was on my birthday. And yes, I may have cried. The next year we went back and were almost late because of traffic; we got in though and ended up having an amazing day- Bob Barker was there and everyone in the audience won over $1500 in prizes! So all 3 of us walked back to our hotel carrying IRobot Roomba boxes and a bunch of other stuff and people kept stopping us on the street asking where to go get the "free stuff." One birthday was a nightmare; the next was a blast. You just never know! Oh my goodness...your kid's horribly irreverant caption on the church program nearly made me spit out my coffee. My kid's irreverent drawing beats your kid's irreverent drawing. When my daughter was 5-6, somewhere in there, she was making Easter crafts in her preschool program. She had been given a picture of Jesus ascending into Heaven to work on and when the teacher handed it to me, I saw that she had made him, ahem, anatomically correct. I just about died on the spot. My husband, on the other hand, took it and made copies for all of his friends who thought it was the most hysterical thing ever. I think his friend Josh still has it hanging on his refrigerator, ha ha! My birthday is in two months and I too will be 36. Thanks for making it less scary for me! I LOVE your blog!! I wish I could be as creative as you. #19: I KNOW! I love it when my kids do something like that. I think 75% is an exceptional success rate. I said I would clean my desk off once a week. Let's just say, "Yeah, right." Hi. I'm new. ;) I stumbled across your blog from a Pinterest pin, and have spent more time than I care to admit browsing, and I've now added it to my Google Reader feed - good stuff here! I love your blog so much - you seem so real (and not so perfect that the rest of us feel inadequate). What do you need to know about me? I like to eat the chocolate off the outside of a candy bar before eating the rest - but I don't do it in front of anyone except my husband. And I can say the alphabet backwards really fast. How's that for mad skillz? I live in Maui and I'm turning 37 next week. When I was younger, I used to think that there were potato people that were living under my bed. They were Mr. Potato size potato people but they were MEAN and had long, sharp teeth and they would bite your limbs off if they were hanging off the bed. I would always freak out in the middle of the night if I woke up and had an arm/leg over the bed and quickly straight body myself in my bed and listen for hours waiting to hear them. I told people at work this story and now I come to work every now and again and there are random potatoes under my desk. My worst nightmare come true! Awesome blog by the way. Such a great outlook on life. Come at me, bro! birthday? birthday? happy day you came out day! (when is official day?) and i want to be 36 again! I like even numbers! must say #3...agreed. mattie was the perfect sheltie...never barked at ppl...was super sweet...never chased invisible objects in yard and barked to annoy ppl. enter moses (new sheltie) he does all those things plus poops on my rug..even though 90% of the first floor is hard floor and he chooses my rug to dump...vomits b/c his stomach is weak....has asthma and cant chase stuff b/c he starts gagging for air ...oh and then vomits...is car sick ...scared of almost everything...did i mention i should have left it alone after mattie died...ugh! #14...i can high five you on that...where on earth are we going to put all that junk that i spend hrs on pulling from garage? my house already looks like a bomb hit it. my counter tops are covered in plastic storage containers...fill with what? all the stuff from my kitchen drawers thanks to child #5. i look like a junker..and all drawers are empty. i got tired of picking up stuff all over the house or being hit in the back of the head with a flying kitchen tool....i look forward to the day when he quits opening the drawers. i miss my clean counters. 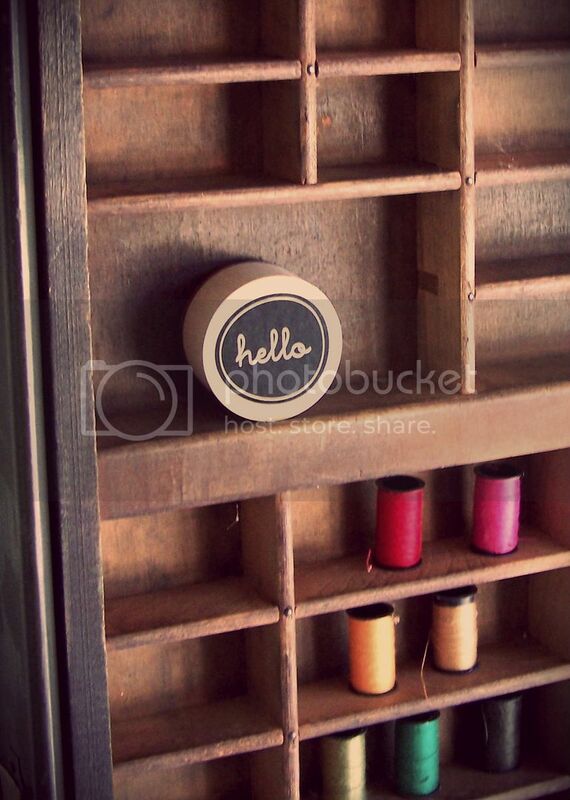 as for HELLO stamp....HELLO i could sooo use that for anything!!! Happy Birthday!!! Real Housewives of (Every City) is my guilty nap time pleasure. Please don't tell. It's complete trash. Love this post and I'm thinking it might be fun to do something similar on my blog. I love all your little "facts" Now something about me. I have a secret desire to be a forensic pathologist. Of course, I'd like to just be given all the knowledge and ability to do this, because I hate going to school and I don't think 57 yrs old is a good time to start on this kind of educational path. I'm right there with ya on the Christmas decorations! I feel that way every year really but after they're all up I love to just sit there with the tree lights on and enjoy it. When I make cream puffs for my family, I let them each have one and I secretly eat all the 31 others myself. It's a double batch. But now that you're in on it, you can't tell. I have just decided to pay a visit to each of your awesome readers! My random thing to tell about me...I was robbed as a bank teller years ago and handed over $8000. How fun is that? okay. those first two commenters need a blog. About a year ago I got a big king sized bed and it was just too hard to make it so I decided making beds just wasn't necessary. The kids never made theirs anyway and we are all happier not making them. If we have a friend coming over or plan to give someone a tour of the house we make them, but if not, they are never made. bless your heart...happy birthday! how funny that you are 20 years younger than me and worrying about being old...you don't know old. old is looking at dirt on the kitchen floor, picking up a piece thinking it is mud, and having to smell it to make sure...it could be cow poop (we live on a farm)...i used to be able to just look at it and tell...so i guess that's not only my warning about really being old, but also a random piece of knowledge about me...hello to the hello stamp! good giveaway...hope you have a great b-day my bloggy pal. Thank you so much for posting this - I appreciate your humor and honesty so much. I nodded, laughed, and even teared up. When I lost my beloved doxie, Walter, I couldn't stand for my home to be empty. We then welcomed Ziggy and, though I would never change anything, it's not the same. In some ways, it gets better. But man do I miss my Walter! The photo in the grocery store is awesome. 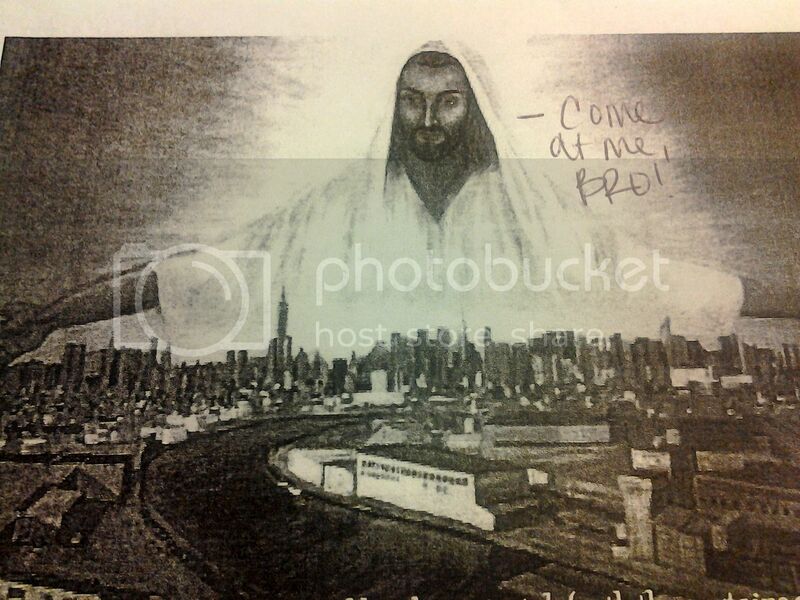 And I'm totally debating pinning "Come at me bro" to my LDS Pinterest board! What a sweet gift - I'd love to win. I stumbled upon your blog (through pinterest?) and read all of your past posts in three days. when I read the last post. I was more sad than when I watched Michael Scott's last episode of The Office. That said, there is always love for the one that comes next-and appreciating their differences is what makes the world go 'round. Enjoy your day,your hubby, your kids, your pets-your life! Happy Birthday!! I just love reading your blog... makes me smile every time. How you manage everything is beyond me. But it sure makes for awesome reading, yo! I wish I was staring at 36... instead of 44 but heck, you take what you get. One thing about me... or two... O don't miss smoking. It's been 9 years and I am so happy I quit. Looking at it though, if I could trade Crohn's for smoking, I would. (Where that weird thought came from, no idea). Oh and O love shortbread, and it loves my hips... and I periodically re-read every single Nero Wolfe novel. lol.. I love your post! I love your title of your blog... older and wiser... I am going to be 60!!!!!!!!!!! in December... I really don't think of myself as 60... lol. I wish I was wiser :) I know what you mean about getting over the loss of a perfect dog.. I am thinking you don't. Happy Birthday. My first dog was my best dog, even when I had two dogs after her, she was still the best. Until the dog I have now. Now she is my best dog, I love her so very much and think she's practically perfect. Sometimes I feel sorry for the two dogs I had in between - I feel they might not have had the life they should have. Thanks for all the personal facts - it's fun to get to know you better. Hey Happy Birthday and all that good stuff. You already know enough weird random stuff about me, so just send me the stamp. Aaaaannnnd I basically adore the embellished church program. Happy Birthday! I am also a November birthday girl and was born on Thanksgiving. I'm now depressed because I figured out I wad a freshman in college when you were born- LOL! Angry at myself for taking so darn long to catch up on my blogs. Glad you were born and hope you had a wonderful birthday! Oh, I have to join - the stamp is too cute! And I love your blog. One week I was reading all your wrapping ideas - stunning! And happy belated birtday to you - may your new year be a happy one! No. 4 is gold Jerry, GOLD! By the way, I meant to mention that the said defaced church program was odd and inapprop. to begin with and who gave the OK on that .jpeg? "Yes! Let's us this one of Jesus enveloping Plano!" Yikes.